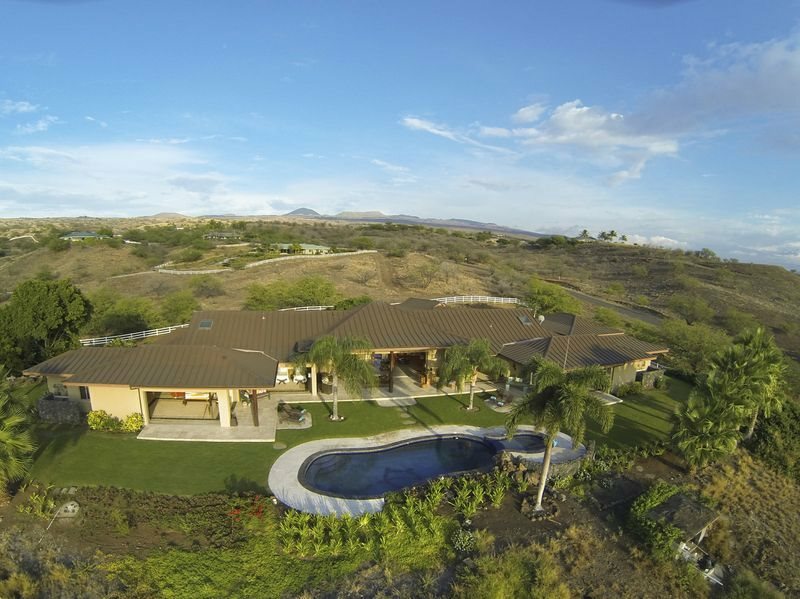 Expansive 6,500 sq ft home situated on 3 acres within the Kohala Ranch gated community. This tropical oasis home boasts 6 beds and 6 baths as well as media room which can convert to 7th bed / bath. Expansive views of the Kohala Coastline greet you from the moment you walk in. The great room opens up to the pool / spa and 1,100 sq ft covered lanai. Home is located 10 minutes north of the Mauna Kea resort and some of the best beaches on the island. A wonderful retreat for a large family. Hula Hula Ranch is more than just a vacation home – it's a retreat in one of the most beautiful places in the world. Serenity at its finest. You and your guests will be transported into the paradise you have always dreamed of. Hula Hula Ranch is the perfect setting to host your special events or family gatherings. Let us know what you have planned and we can connect you with the right vendors on the island.